Malaria is an infectious, tropical disease. It is caused by Plasmodium parasites which can be transmitted from human to human by infected Anopheles mosquitos. There are several species of Plasmodium parasites of which P. falciparum, P. vivaxand P. malariae are found in Suriname. 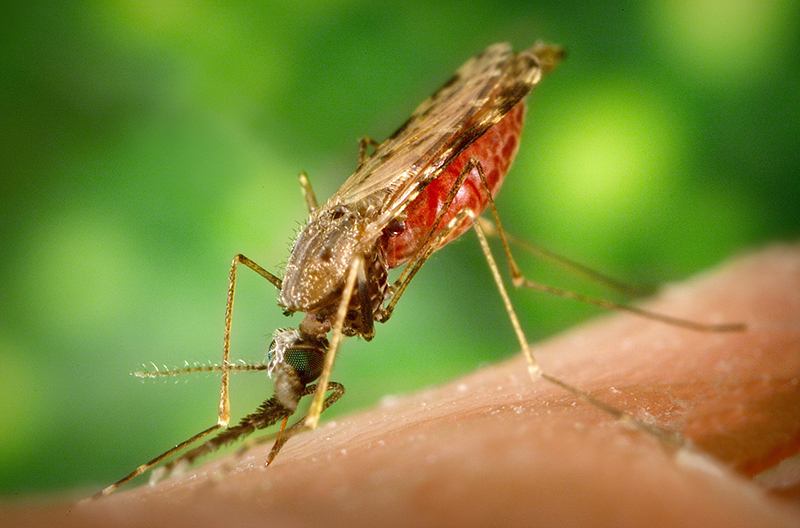 The most important vector for malaria in Suriname is Anopheles darlingi. The Ministry of Health Malaria Program is a malaria elimination program coordinated by the Ministry of Health, which operates in line with the national Malaria Elimination Plan (2014-2019). The Malaria Program is supported by international donors; the Global Fund to fight AIDS, Tuberculosis and Malaria (Project; Towards Malaria Elimination: Expanding Test, Track, and Treat in Mining Areas), by the Inter-American Development Bank (Project SU-T1072), and by the Pan American Health Organization (PAHO). The mission of the Ministry of Health Malaria Program in Suriname is to work towards elimination of malaria in the country. Considering that malaria in Suriname has decreased to pre-elimination levels, this means the country is working on the final leap towards reaching the national goal. Eliminating malaria in the last hot spots, and preventing re-introduction in areas where malaria has been successfully controlled is especially challenging because of the remoteness, mobility and socioeconomic status of the at risk population. Since 2009, following near elimination of malaria in village communities, the MoH Malaria Program in Suriname has a focus on malaria transmission in remaining risk populations and areas, which are mostly mobile, illegal miners from Brazilian origin working in illegal gold mines. The Program aims to fill the gap of lacking malaria services in these risk areas and among these populations. It is also working on prevention of re-establishment of malaria in areas where malaria has been eliminated. The prevention effort is partly directed towards interception of import malaria, which made up about 75% of the number of cases diagnosed in the country in 2015.